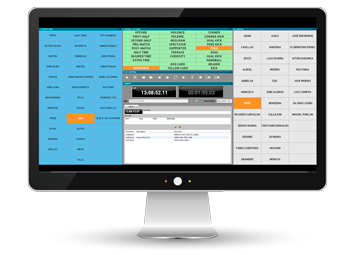 VSNLIVELOGGER is a software module for the fast cataloguing of media in sports production and other live events. It allows the operator to quickly add timecode referenced metadata to a video file while it is being ingested. It is ideal for sports production. Through metadata templates with the names of the players of each team and the most typical actions, catalogers identify the best plays, which can be sent to broadcast immediately as well as to be archived. The software has been designed with the purpose of achieving the most agile operation possible in a live environment. The interface is fully customizable, providing the user with the maximum versatility and ease of use: sports production has never been so easy. VSNLIVELOGGER offers a complete content production management suite of solutions, specially created for managing live sports production environments, no matter the audience or the platforms that it is aimed to. In a sports production and broadcasting environment, having total control of every element involved is the key to success. VSNLIVELOGGER enables a full system ready for ingesting, logging, managing, searching and browsing through the material and the resources available. Thanks to VSNLIVELOGGER, metadata is safely transferred to and from any equipment, kept safe and enrichted if necessary, to secure its value and enhace your sports production workflow. VSN’s solutions are designed to make its user’s work easier. That’s why VSNLIVELOGGER is easy to integrate with any live sports production workflow, no matter the equipment or the third-party technologies involved. 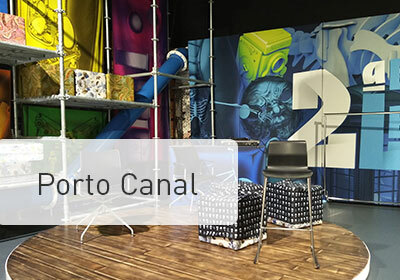 See this VSN's product in action in the Porto Canal's case study. Discover with this Webinar how the integration of Facilis' TerraBlock with VSNEXPLORER enhances Avid's Media Composer work environments. Do you want to see our Sports Production software in action?